Have you ever tried very hard to memorize formulas, definitions or concepts like this? Some of you may feel that it is easy, while some of you may find it rather quite alright to memorize, but what if you were given hundreds or thousands of formulas and concepts to master? How much of those can you remember? How long do you take to remember all of that? How do you know whether you are using an effective memory strategy or technique? The fact is not many students or even teachers are quantifying the effectiveness of their memory techniques. They simply just try to remember things the hard way by either re-reading again and again. Or they just try to test themselves by covering the book and trying to rewrite again. Here’s the thing, to be able to find out the effectiveness of your memory techniques or strategies, you need to test it. And to do so, we need to apply the strategies of highly successful techniques which Fortune 500 companies are using in their businesses. First, to be able to find out how powerful is your memory techniques, simply test yourself in 2 minutes time, how much stuff can you remember? How many words can you remember correctly at the end of 2 minutes? Now, if you have take part in this test, kindly vote for your results below so that other readers could gauge it too. 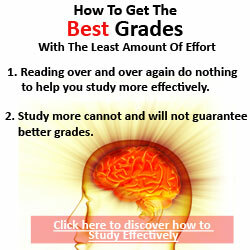 Using the right memory strategies and techniques, you could easily remember all 30 of them. Even in the exact order! You can calculate the effectiveness and skill level of your memory techniques or skills from this test by taking the number of words you can remember correctly as a gauge. Let’s just take X = number of words you can remember..
Then X/30 x 100 = the % effectiveness of your memory techniques and strategies. For example, if you can remember 15 words out of the 30 words at the end of the test, your memory strategies are around 50% effective. Do note that not to take this as an actual test and beat down on yourself. This is just a gauge to test the effectiveness of your memory skills. Most of the memory techniques and strategies that are taught in school are extremely INEFFECTIVE. For example, most “experts” would teach about using Acronymic sentences to remember information. For this strategy, you would need to underline the first letter of the piece of information you need to remember. Then you need to make a sentence using words with these underlined letters. But the problem with this strategy is that most students find it difficult to remember the words that are linked to the first letter of the information they need to remember. They also find it difficult to come out with the right words to join the entire sentences together. If you are going to use this strategy with the 30 words above, it may even take you more than 10 minutes of your time. What are the most effective memory techniques and strategies? 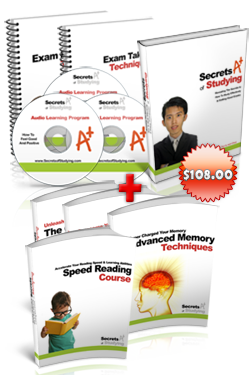 Some of the best memory experts and gurus taught these advanced memory techniques and strategies as much as thousands of dollars. And the most amazing thing about their strategies is that you are able to memorize information to the finest detail – Imagine your friend asking you about “what’s on page 54 of our Chemistry textbook”, and you are able to answer it! How cool is that? One of the key principles of a powerful memory is Linkages. When you remember something, our mind forms a series of linkages or nerve connections, and this is also called ‘memory trace’ or ‘engrams’. When you forget something, it is usually because linkages of the particular information is not strong enough. And the trick behind a powerful memory is by knowing how to form powerful linkages – through the use of our creativity and imagination. To find out more about advanced memory techniques, subscribe to our newsletter today! Meditation is not only good for stress reduction, but also for sharpening the memory. The effects of meditation to the brain are somewhat similar to the effects of sleep. Sensory input is significantly reduced while meditating, enabling the brain cells to relax and have sufficient time to recover from daily stressors. Brain scans reveal that meditation produces a state comparable to what experts believe is a form of invigorating sleep phase, called the non-REM phase. So before studying, take time out to meditate for 30-45 minutes, and you might just find your brain very well refreshed afterward, and your lessons easier to memorize. A study on Alzheimer’s disease revealed that laboratory mice suffering from age-related memory loss achieved memory improvement when fed daily with apple juice. Eventually, such mice performed better at the maze, compared with others having the same memory loss problems, but were not provided with apple juice. The reason behind this is the right amount of antioxidants present in apples, which raises the level of acetylcholine in the brain. Acetylcholine is a neurotransmitter playing a vital role in keeping the memory in tip-top shape. To keep poor memory away, experts suggest munching at least a couple of apples a day. Doing 30-60 minutes of cardio exercises at least 3 times per week is not only good at shedding off those excess pounds, but also keeps your memory active. It makes perfect sense: cardio exercises make your heart and lungs work faster. And the harder these organs work, the more fresh oxygen is supplied to your brain. In addition, a recent study have shown that brain scans of people who frequently do cardio exercises actually have bigger brain volume compared to those who did any other forms of exercises, such as stretching or weight lifting. It is said that the additional volume is due to the increase in the white matter of the brain, which contributes to memory processing and concentration. Surprising but experts believe that having a regular dose of video games also helps in enhancing the memory. However, it’s best to play games that test the brain power, such as those that make you formulate strategies and crack some mystery. Also, once you get the hang of a particular video game, it is advisable to start playing a different one, in order to maintain the memory and concentration enhancing effects of it. The brain is just like a muscle: once the muscle becomes so used to the weight of the dumbbell being lifted, it stops growing as it finds the task no longer challenging. But always do remember that too much of something is bad. Exercise your brain via video games during weekends, and put away those controllers during school days. the best meditation technique which is most effective is Sound Meditation. Sound Meditation means meditating on the sound while chanting it loudly, enough to hear it properly. it helps to keep our mind away from other thoughts which mostly keep running in our mind without our knowledge. Why i said best, because it is recommended in Vedas and is been practiced for more than 5000 years. And record shows that people chanting Hare Krishna Mantra for 108 * 16 times have found profound changes in their lifestyle, thinking and mind related problems. so its really effective.. initially you can start with 108 times which takes 10 min to complete and than slowly you can multiply it with whatever no of times you want to do. Process: chant this mantra loudly enough to hear your own voice, pronouncing each word distinctly, clearly and be focused while chanting. do it with a counter to count the number of times. DON”T do it in mind. Chant Loudly and Hear attentively. all the best. Thank you very much for your to share your skill.Maybe is not that hard to make our brain to get some skill for out studying. meditation is actually a way to concentrate your mind. Its very easy, just sit in any comfortable position .eye closed, Now breath in and think you are extracting energy from universe. When you breath out think you are sheding impurites. Forget every thing else. thanks a lot for this simple and helpful tips to reach my goal. ive been a brag person almost 10yrs and im trying to change my life by studying in college..